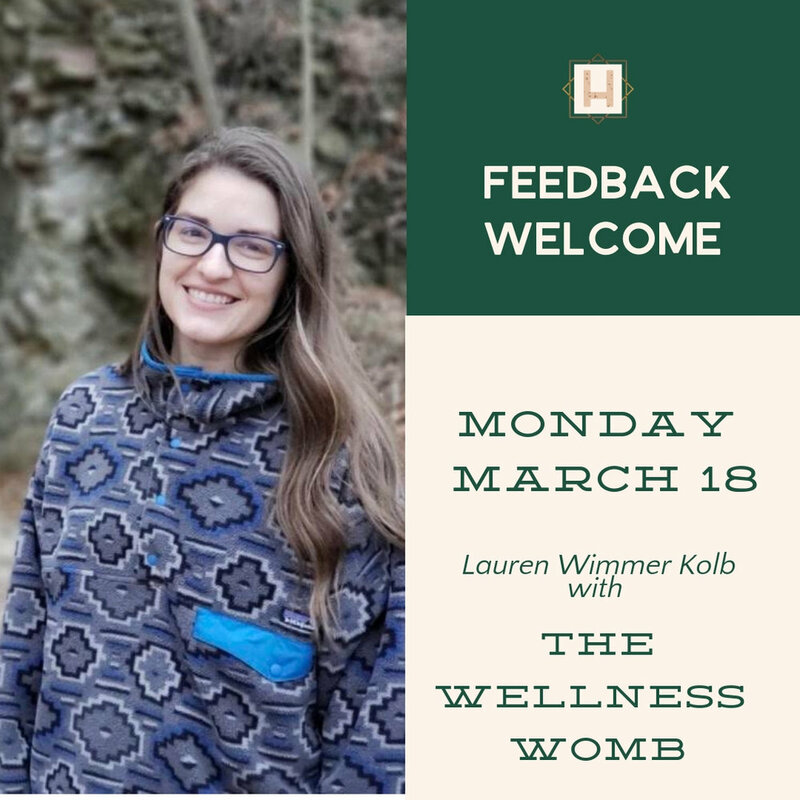 This week our presenter for Feedback Welcome is Lauren Wimmer Kolb with The Wellness Womb! Lauren is looking for feedback and connections as she begins her business journey! She would also appreciate ideas for how to best market what she is doing to our community and beyond!